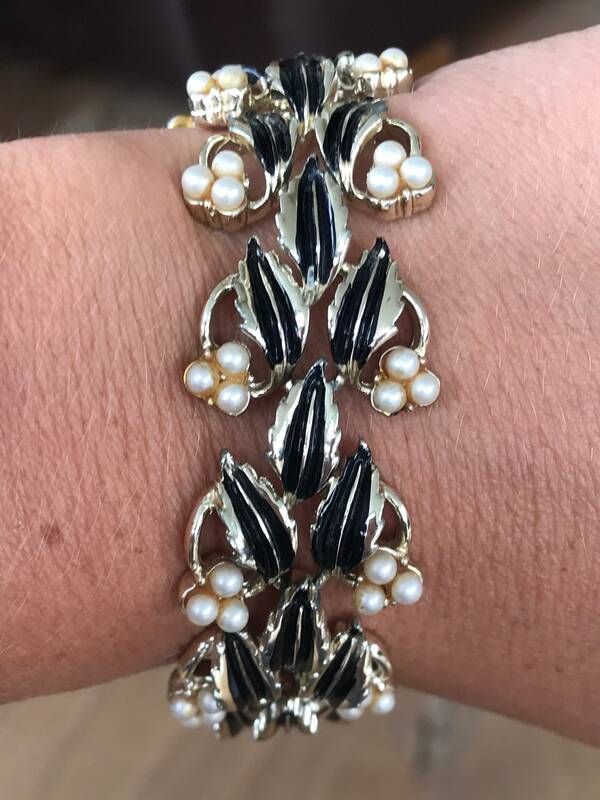 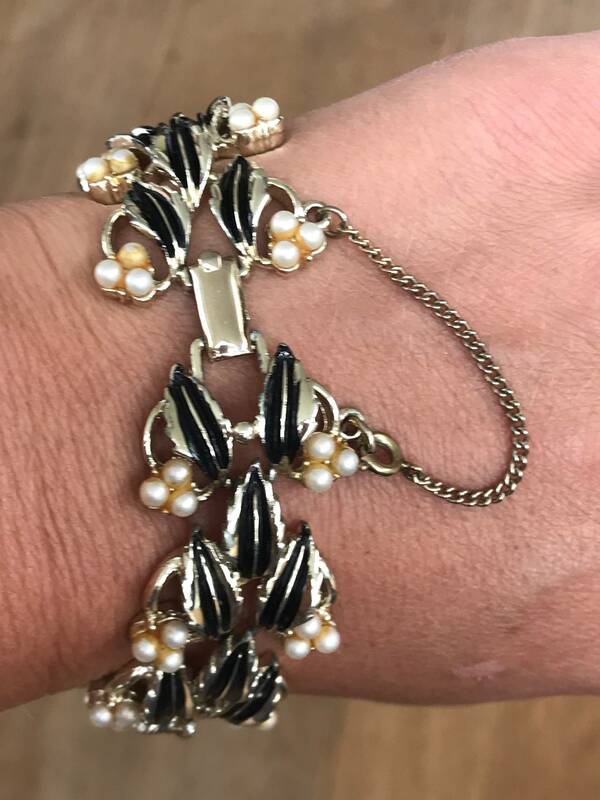 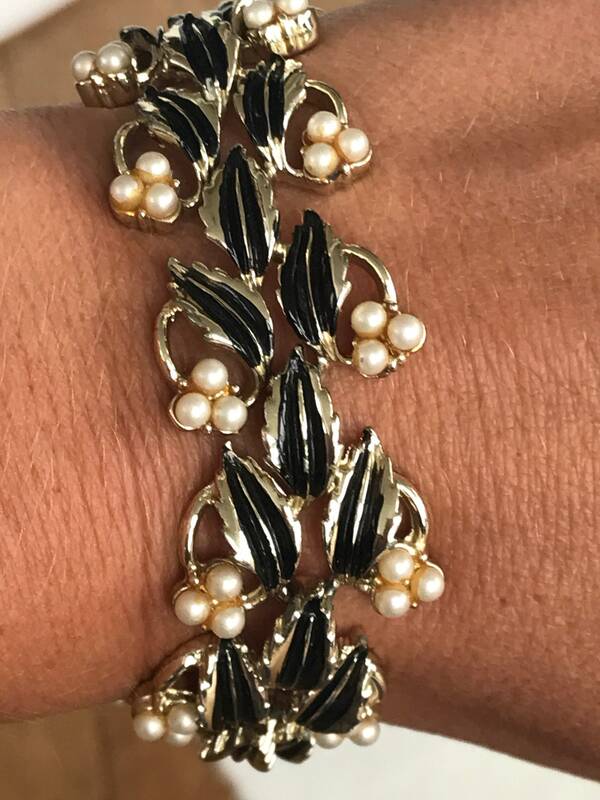 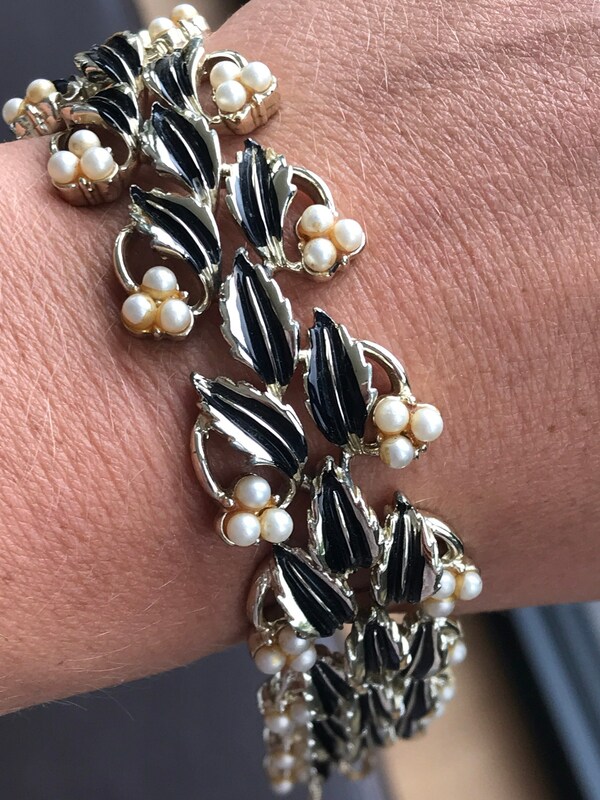 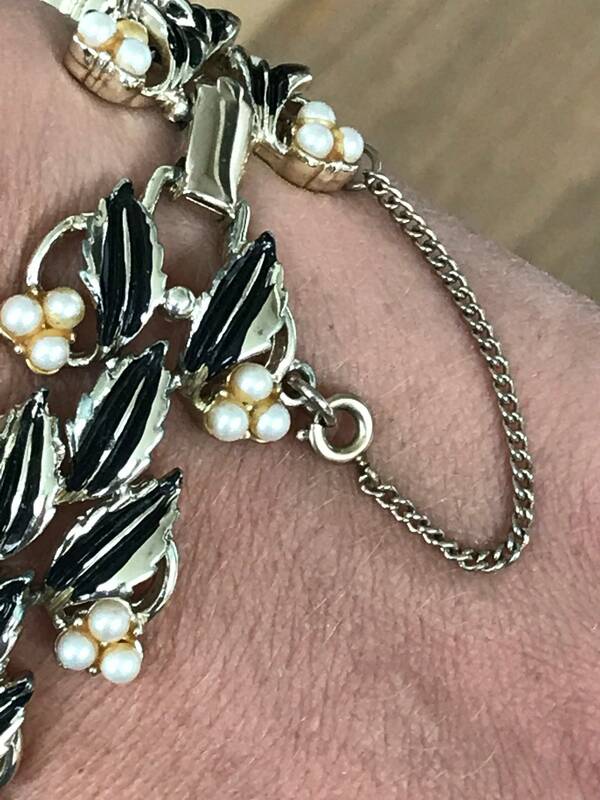 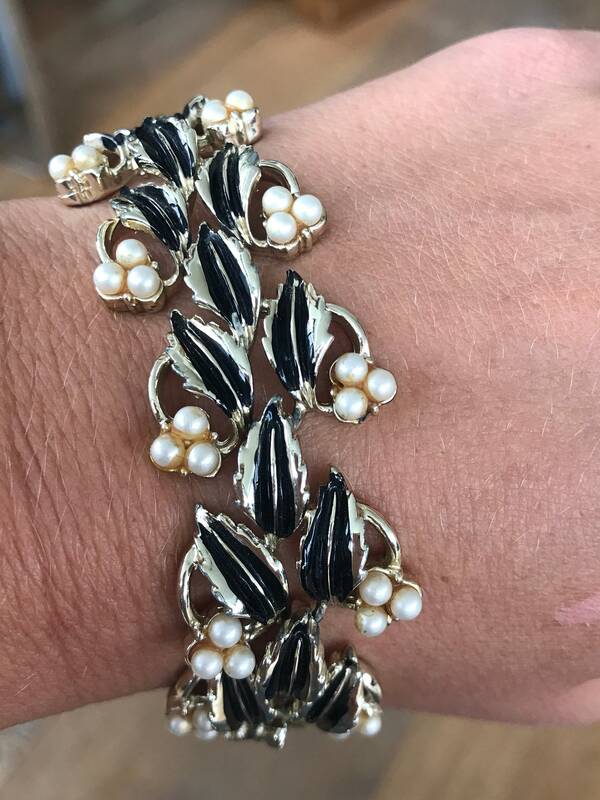 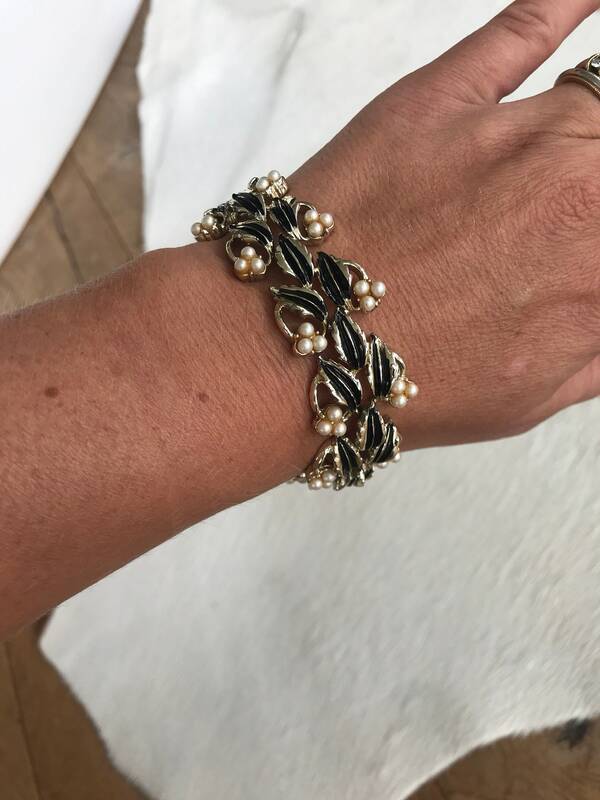 A beautiful vintage bracelet by makers Jewelcraft. 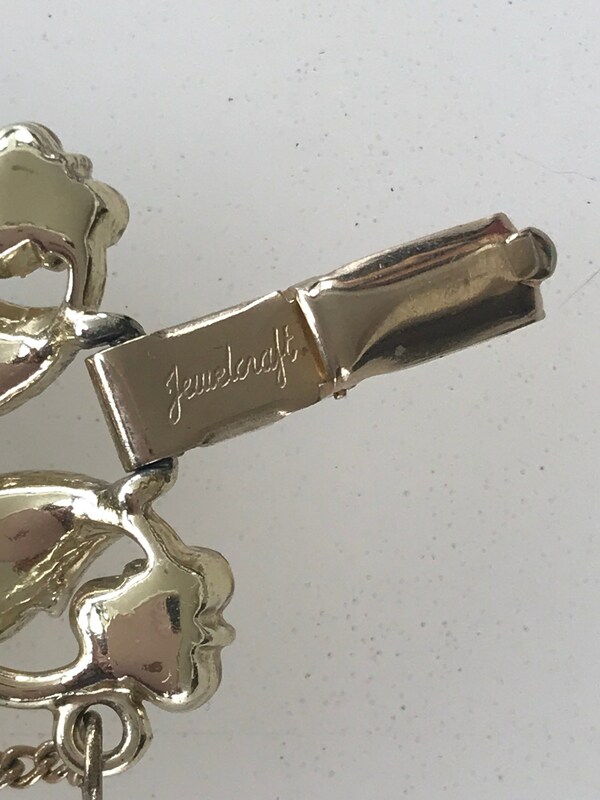 Jewelcraft was one of the trade names used by US costume jewellery company Coro. 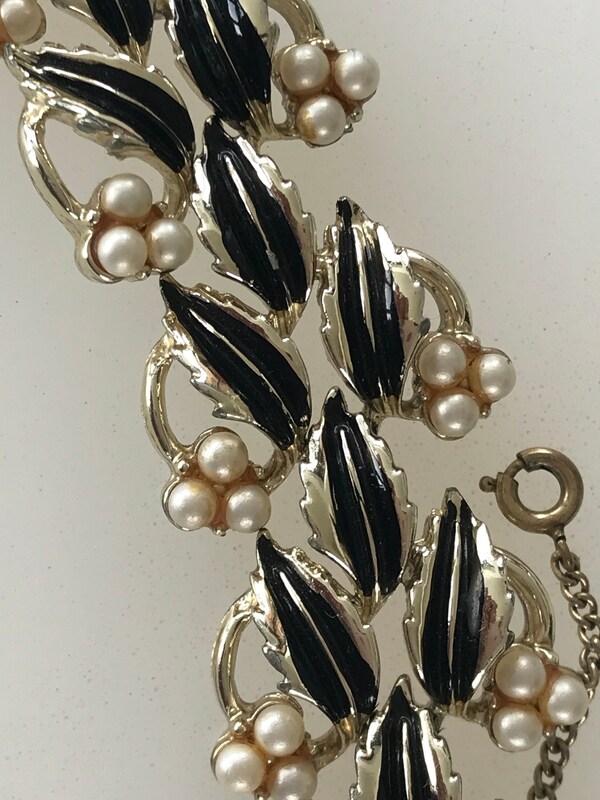 This is very much a statement piece and would complement any outfit. 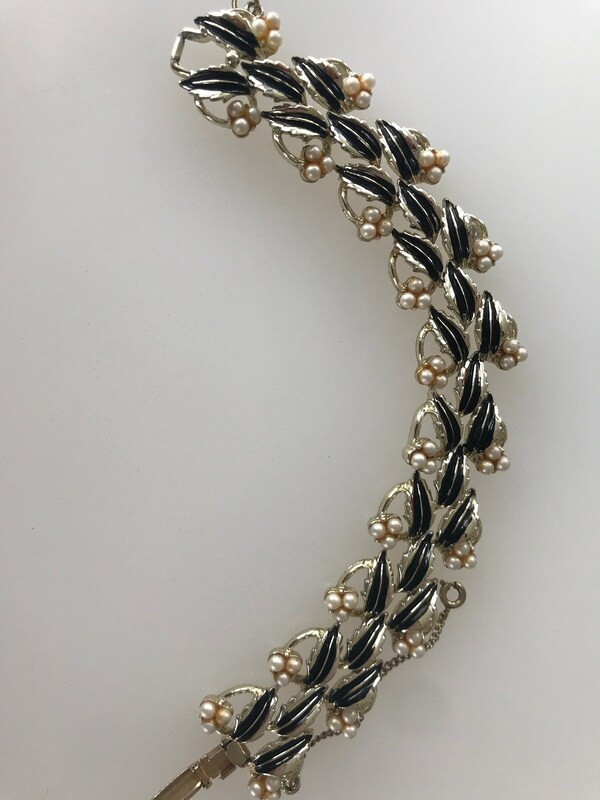 It is in great condition and is 3cm thick and 20cm in length, it is complete with its original safety chain.